One of the advantages of open-access publishing is that it increases the visibility of science literature. Since the articles are free of charge, and therefore very easily accessible, many (non) academic readers around the globe can profit from them. What a generous idea. Great. My ‘only’ concern is that the average online reader is far too credulous and will easily be mislead and not see the difference between the peer-reviewed articles, the non peer-reviewed ones, and all the crappy information that is out there on the World Wide Web. How come the internet became such a mess? It is a known idea that technological developments blurred the distinction between the producer and the consumer. In his publication Digitize This Book! Hall points out that society previously was ‘structured in terms of two more or less separate and distinct groups’: the producers and the consumers (2008: 21-22). He states that the development of ‘prosumer’ technologies has changed this and that ‘the result is that now the consumer no longer needs to occupy a predominantly passive relation to media and cultural objects’ (2008: 22). Indeed, our laptops, tablets and even smartphones do not only allow us to know what is happening in the world but also allow us to spread our own ideas all over the globe. Thanks to these technologies we are now able to both produce, consume and distribute our writings. Murphie confirms this idea when he states in his article Ghosted Publics that now everyone is a publisher (2008: 102). Indeed, everyone who knows how to handle a computer is all of a sudden not only a ‘writer’ but also a ‘publisher’. Murphie even goes as far as saying that ‘we are all increasingly forced to publish’, something of which I became a victim too: look at me writing this blog (2008: 102). Anyway, publishing something online – even on a personal website – is so unbelievably easy, and quickly done, that there are hardly any specific skills required to do so. This makes it possible for anyone to basically write whatever he/she wants and immediately publish it online for it to be read by anyone around the globe. As Murphie notices: ‘anyone can be an expert today’ and therefore – now more than ever – ‘some kind of authority is a necessity’ (2008: 110). While printed journals are always peer-reviewed, Open Access is still in a phase of experimenting with (alternative ways of) peer reviewing. This possible lack of an authority in online writings is not necessarily problematic when it comes to blogs about where to walk your dog in Amsterdam, but it certainly is when it comes to scholarly articles. This has to do with the fact that only when there is an authority, a quality assurer, involved in the process we can be sure that the article in question is of an academic level. Unfortunately, these authorities are not being given enough credit now that we are all considered ‘prosumers’. Hall indeed writes that open access journals and archives make it possible for academics ‘to take control of the means of production and reproduction and publish their research themselves’ […] and that then ‘they are able to cut out the middlewomen and middlemen of the publishing industry’ (2008: 23). For in the near future I will probably be such a middlewoman (even though in another field of the publishing industry) I certainly hope no writer will ever even think of following Hall in this. Not just because it will cause some of my future colleagues to lose their job, but also because it demands too much from the reader. In my opinion online readers are both too lazy and too credulous to stay critical of what is offered to them. I therefore believe that with the rise of Open Access there should be more attention paid to making explicit which article is peer-reviewed and which article is not. Some open journals, like KEStudies experiment with having both a peer-reviewed and a non peer-reviewed section. Here a reader that quickly clicks from one (peer-reviewed) article to another (non peer-reviewed) article easily causes confusion: what is of a certain guaranteed quality and what is not? We, as readers, should of course always question the quality of any article and under all circumstances remain critical of the research done. 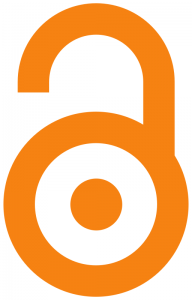 But there is also a responsibility for the Open Access journals, namely to make explicit which article has been peer-reviewed and which article has not. I would say: put a big semitransparent pink cross on the latter and everyone is happy. Hall, Gary ‘Another University is Possible’ and ‘Notes on Creating Critical Computer Media’, in Digitize This Book! The Politics of New Media or Why We Need Open Access Now, Minneapolis: University of Minnesota Press, 2008, pp. 1-36. Murphie, Andrew ‘Ghosted Publics: The “Unacknowledged Collective” in the Contemporary Transformation of the Circulation of Ideas’, in: Alessandro Ludovico and Nate Muller (eds) The Mag.Net Reader 3: Processual Publishing, Actual Gestures, OpenMute, 2008, pp. 98-110.